If you are short, no worries! A high-low dress is perfect. Choose any length of skirt for the front and the back can have a train or not. 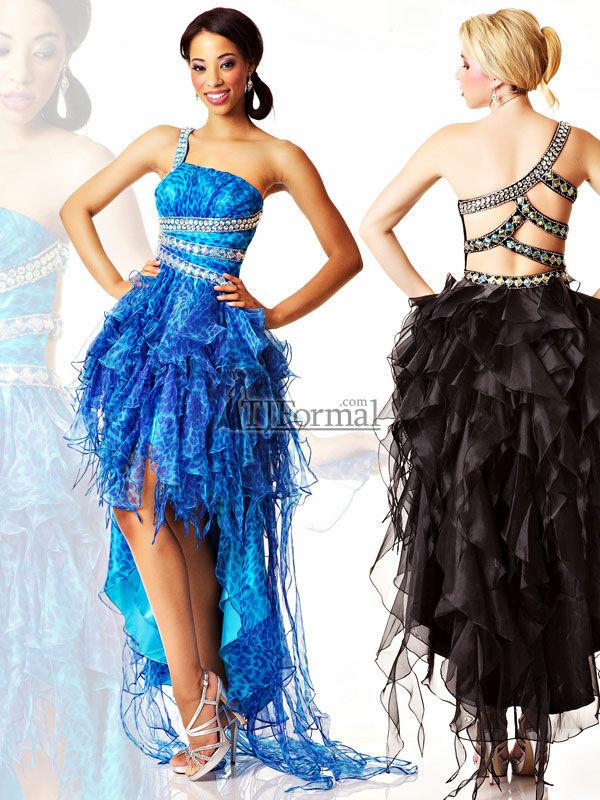 Jovani 2012 Prom Dress 30079 has a slight train in back, if you are shorter than 5'8", it will just be a little longer. So when searching for a prom dress, don't forget to check out the high-low dresses - one might just be your dream dress! This looks so pretty - and versatile too!